Jane Weiss Mekeel, 91, Lehman, passed away, Tuesday, November 27, 2018 at her residence. Born in Kingston, she was the daughter of the late Homer and Vannetta Keithline Weiss and was a graduate of Lake Lehman High School and had attended Washington Missionary College. Jane was a supervisor with Hacketstown Community Hospital and also Washington Adventist Hospital. She was a member of The Beaumont Seventh Day Adventist Church. Jane was an organist and piano player with the church for many years. One of her loves was playing piano and organ. 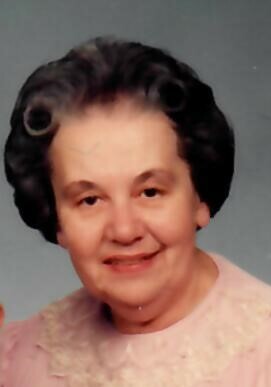 She was preceded in death by her husband Charles Russell Mekeel in 1998. Surviving are her daughter, Cathy Mekeel and her companion Andrea Cowles, Lehman. Son Robert Mekeel and his wife Donna, Odenton, MD. Foster son, Joseph Marr and his wife, Sandee, Lehman. Five grandchildren and three great grandchildren. Several nieces, nephews, and cousins. Funeral will be held Monday, December 3, 2018 at 11:00 AM from The Richard H. Disque Funeral Home, Inc., 2940 Memorial Highway, Dallas. Interment will be in Chapel Lawn Memorial Park, Friends may call Sunday from 6 to 8 PM. Jane’s family would like to thank Irwine Hospice for the wonderful care given to Jane.